Pete Jacobs 2012 World Champion Ironman Triathlete has joined forces with Endura Sports Nutrition. Noosa Heads, Qld, 25th September 2015 – It was announced today that renowned and trusted sports nutrition company Endura and Professional Triathlete Pete Jacobs are officially in partnership leading into 2016. Endura Sports Nutrition is made and distributed by Health World Limited, Australia’s leading Health Science Company. Their mission is help to people live happier, healthier lives and in the highly competitive and strictly regulated sports industry this is exactly what drives them and every decision they make. Jacobs explains, “What I like about Endura is that they aren’t simply your standard sports nutrition sponsor. They are able to give me a holistic approach to my sports nutrition on and off the race course, understanding that each athlete is different and their needs are too. They have an extensive product range, and a huge support network of resources within Endura and Health World as well that align and assist with my approach to sports nutrition”. Our stable of athlete’s at Health World Limited consists of some of if not the best Endurance athletes across Australia and New Zealand. These athletes come to us for professional practitioner consultations, protocols and proven therapeutic products that deliver results to the individual athlete. I am proud to say that moving forward we will now be working with Pete officially and this feels like a natural fit for us both. 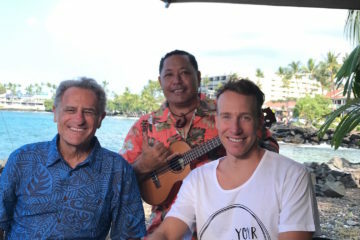 Ive known Pete for several years and ive watched him race many events including winning Kona in 2012 and I still remember the proud moment in seeing him come down Alii drive and becoming the World Champion. Pete is one of the most naturally talented athlete’s and we believe he is capable of the win again in Kona. We very much look forward to cheering him on in the events to come. The World Champion and Sport Nutrition Company Endura will embark on their partnership in a months time at the Noosa Triathlon Festival held on the 1st November. Jacobs is looking forward to being an integral part of the Endura Ambassador team and the Endura team could not be happier to have the world class athlete represent them on both the local and international stage. 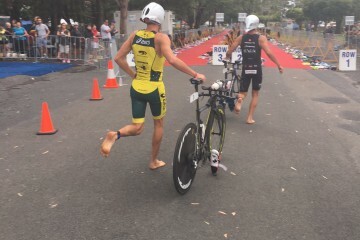 The Noosa based Triathlete has a world class team behind him, comprising of Boardman Bikes, Asics, AMART Sports, Alaska Milk, yurbuds, blueseventy, Sram, Zipp, Quarq, Flight Centre Active Travel, Xlab. ISM saddles, and Endura. Previous ArticleKona; Race Week Worries, Or Not? Next ArticleBreakfast with Bob Babbitt. Kona 2015.